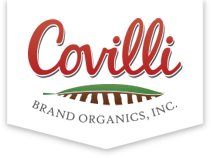 Covilli Brand Organics has been growing by organic methods since 1965, but they were the first to start by receiving their full fair-trade and organic certification. Long before the world had caught on to the benefits of organic produce, Terry and his co-founders, Ernesto Moreno and Susan Solis, were growing great food, free of harmful pesticides, chemicals, additives, and genetic modification. Not because they had to, but because they knew that it was the right thing to do for the consumer, the farmworkers and our planet. They also recently opened their medical clinic that will provide healthcare and dentistry services to the over 700 farm hands, their families and nearby communities. Learn more about it here.